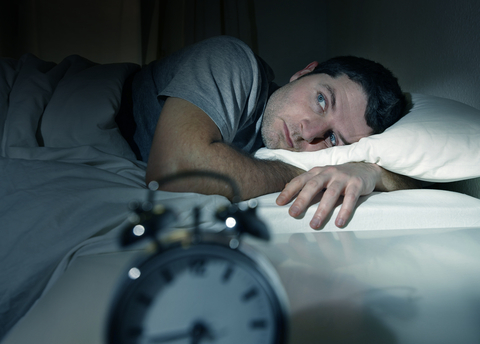 New research provides hope for people who have recently began experiencing insomnia. Whether you can’t fall asleep until the wee hours of the night, or whether you wake up in the middle of the night unable to get back to sleep, insomnia can be frustrating and completely interfere with your ability to function during the day. Tossing and turning during the night is miserable. Whether you can’t fall asleep until the wee hours of the night, or whether you wake up in the middle of the night unable to get back to sleep, insomnia can be frustrating and completely interfere with your ability to function during the day. But new research provides hope for people who have recently began experiencing insomnia; cognitive behavioral therapy can help you to tackle what causes insomnia and return to getting regular, restful nights of sleep. The results of just one, one-hour session can be remarkable. Our thought patterns can significantly impact our behaviors, habits, and even health. Cognitive behavioral therapy is a type of therapy aimed at identifying negative, unproductive thought patterns, beliefs, and behaviors that may be contributing to mental or physical distress. After identifying these negative patterns, cognitive behavioral therapy helps you to replace them with more helpful, adaptive ones. To read a detailed discussion on cognitive behavioral therapy and the various health conditions it can help treat, go here. How does cognitive behavioral therapy help insomnia? There can be many answers to the question, “what causes insomnia?” Cognitive behavioral therapy aims to address many of those causes, from stress to sleep habits to problems in the sleep environment. Cognitive behavioral therapy for insomnia also helps you to change behaviors that may be contributing to your insomnia. For example, your therapist may tell you to remove clocks form your bedroom, as checking the time does nothing but make you more worried about the sleep you are missing. You may also be asked to partake in relaxation training, change your dietary habits, and alter your sleep schedule. Oftentimes sleep restriction is used at first. How effective is cognitive behavioral therapy for insomnia? There are numerous studies showing that cognitive behavioral therapy can significantly improve symptoms and help people with chronic insomnia sleep better. A study published in June 2015 found some remarkable results in people with acute insomnia as well. In the study, people with acute insomnia (people who suffered from insomnia for less than three months) received either a single, one-hour of one-on-one cognitive behavioral therapy or no treatment. One month after the session, 60% of people who received the therapy showed remission of symptoms. After three months, that number rose to 73%. Only 15% in the control group experienced sleep improvement. If you suffer from insomnia, give cognitive behavioral therapy a try. Find a therapist who specializes in insomnia treatment today to get started. Have you ever tried cognitive behavioral therapy? Did it work for you? Share your story in the comments section below. acute insomnia, anti anxiety, anxiety, anxiety and insomnia, chronic insomnia, cognitive behavioral therapy, cognitive behavioral therapy for insomnia, health, how to get to sleep, how to get to sleep fast, insomnia, insomnia 2, insomnia treatment, natural remedies, natural remedies for, natural remedies for insomnia, natural treatment, passionflower, passionflower benefits, relaxation training, remedies for insomnia, side effects, sleep, sleep habits, sleep insomnia, sleep schedule, stress, what causes insomnia.